Chief Rueben George is a member of the Tsleil-Waututh Nation (TWN). 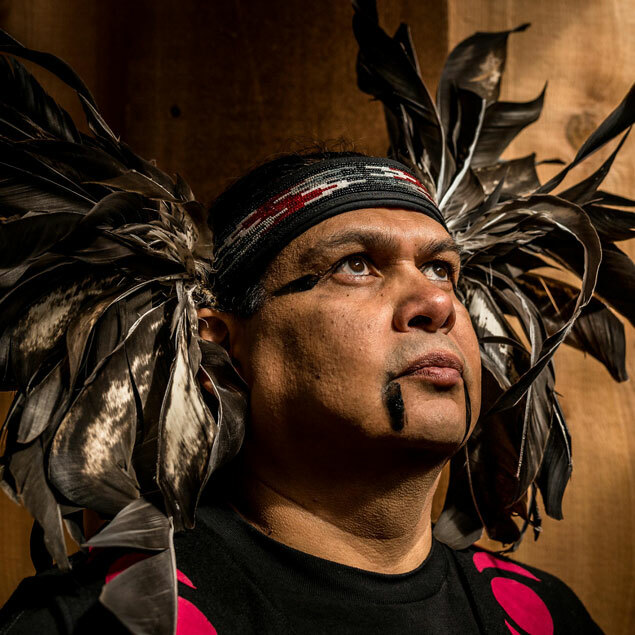 After serving his nation as Director of Community Development, he shifted his focus to protecting Burrard Inlet, traditional Tsleil-Waututh territory, from the proposed Kinder Morgan pipeline and tanker project as part of the TWN Sacred Trust Initiative. Rueben George is also a spiritual leader and was made a made a Sun Dance Chief by Chief Leonard Crow Dog in South Dakota, former medicine man for the American Indian movement, sometimes called “Chief of Chiefs.” Rueben has become one of the best known voices in the media locally and internationally in the conversation about the proposed Kinder Morgan pipeline and other related issues.